Berlin's 'Pictoplasma' Festival Explores Visual Culture, Animation The Pictoplasma Festival, a festival dedicated to visual culture, begins this Wednesday in Berlin with main venues at the Babylon and HBC. Pictoplasma is a meeting ground for illustrators, animators, designers, and artists from all over the world. The Pictoplasma Festival, a festival dedicated to visual culture, begins this Wednesday in Berlin with main venues at the Babylon and HBC. 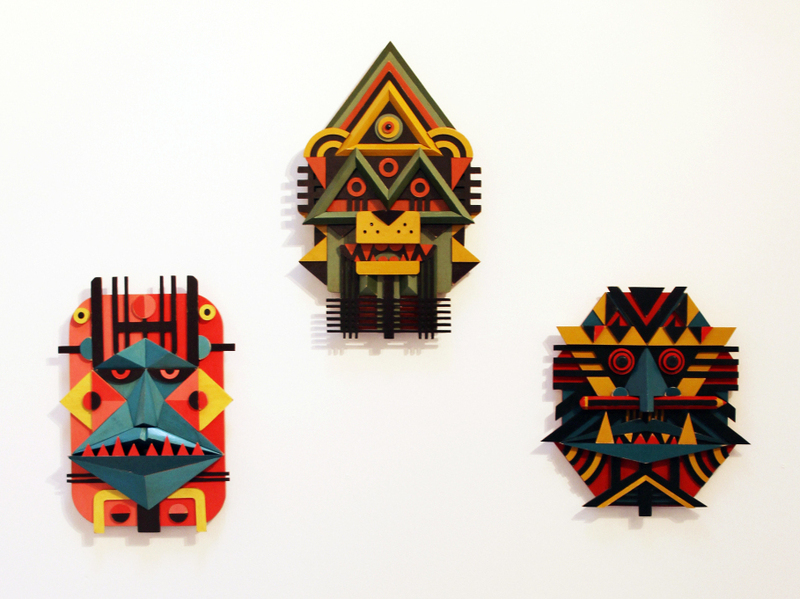 Joshua Ben Longo, who creates large, felt monster installations, will be attending Pictoplasma. This year, the five day program includes a conference, screenings, art exhibitions, and a character walk. The festival is a meeting ground for illustrators, animators, designers, and artists from all over the world; over 600 attendees are expected. The first Pictoplasma Festival was started by animator, Peter Thaler, and his friend, Lars Denicke, in 2004. They wanted to document and celebrate the emerging culture of animated characters, so eight years ago, the two organized the first Pictoplasma Festival in Berlin. "What we think," Thaler says, "this quality of reducing something, that is not arabesque, not illustration that doesn't refer to anything, but is just there to greet you, to take away your angst of technology. Just to say 'Hello,' the Hello Kitty syndrome, so to speak, that was very, very strong, and the quality it introduced is still determining what visual culture is producing today." Thaler comes from the world of traditional animation. In the 1990's, he still worked with pencil and paper drawing 24, or 12 frames per second. Then the commercial Internet came along, and a new environment for the language of images opened up. "That was the first promised utopia of the Internet and to populate this new ballooning world you had to find something that would have appeal, that would be able to transport through these very slow modems and those were characters, very reduced pixel characters, like in every media, that technical limitations does determine the style," he says. A piece by Pictoplasma attendee, Ben Newman. The festival has grown over the years; Thaler and Denicke expanded the Pictoplasma festival to New York. One of their main concerns is the concept of character, which is explored in the fields of animation, fashion, games, and even therapy. Last year, they invited developers of a therapy-based robot. "A company called Beatbots, and they developed very reduced character robots that looks like two yellow tennis balls with a friendly eye, a friendly little face. These robots are built and used in therapy with autistic children because the information this little robot gives is so limited there is no overflow of information that would be intimidating, so it's very easy to build a relationship with this little robot," Thaler says. Apart from visual stimulation, Pictoplasma will provide the opportunity for some hands-on experience of a rather ambitious nature. "Joshua Ben Longo, who does huge felt monster installations that are pretty intimidating and scary, he is coming, and he is together with attendees, and who ever wants to join is welcome. Together they will be creating the biggest felt monster ever." The Pictoplasma Festival runs from the 11th to the 15th of April.